Well, it’s a nice week to be an Ohioan. Two days after the NBA Championship, the Buckeye State’s capital has apparently scored a $40 million federal grant that’ll be matched by $100 million in private investment to create a model of a future tech-connected city. 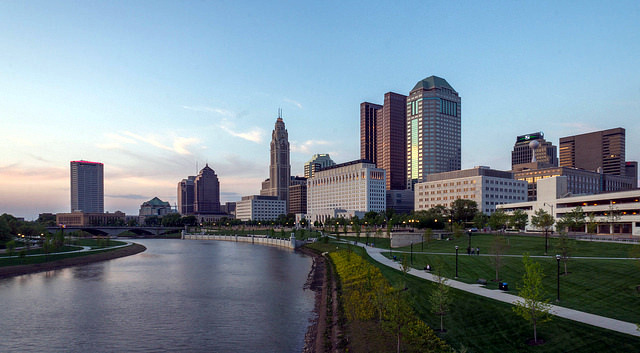 Columbus beat out Portland, San Francisco, Austin, Denver, Pittsburgh and Kansas City for the Smart City Challenge victory, an initiative of U.S. Transportation Secretary Anthony Foxx. 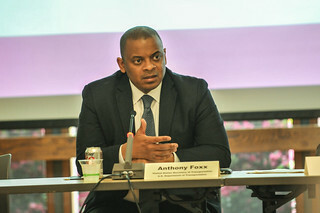 US Department of Transportation Secretary Anthony Foxx in Portland yesterday. It’s a united front of support for a transportation project the likes of which we’ve never seen. And hopefully U.S. Department of Transportation Secretary Anthony Foxx was just as impressed as we were. Yesterday the Portland Bureau of Transportation hosted over 50 notable leaders and elected officials from a variety of backgrounds to sit in on a roundtable with Foxx as part of their massive effort to win the $40 million “Smart City Challenge” prize. Portland is one of seven finalists for the grant award and Foxx is currently touring each city before making a final decision in June. 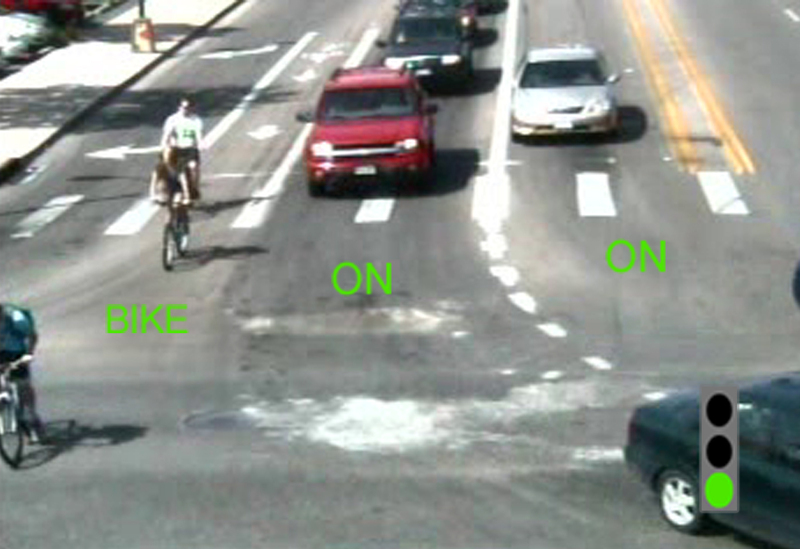 The road wouldn’t need to detect you any more — traffic signals could do that themselves before you even roll up. 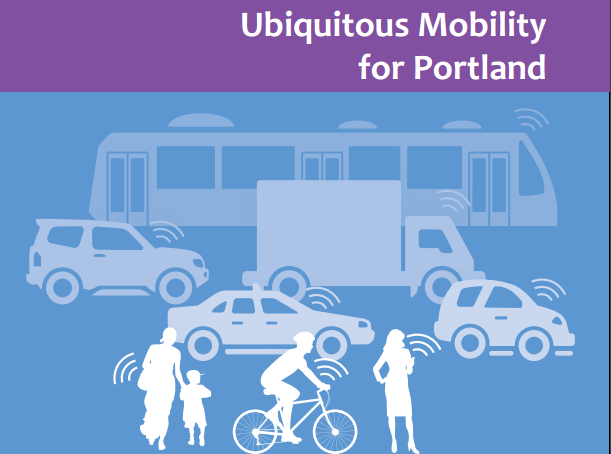 We’ve been writing for a few months about Portland’s application for $40 million in federal funds that could make it easier to combine services like bike sharing, TriMet, Lyft and so on into a single system of multimodal mobility. 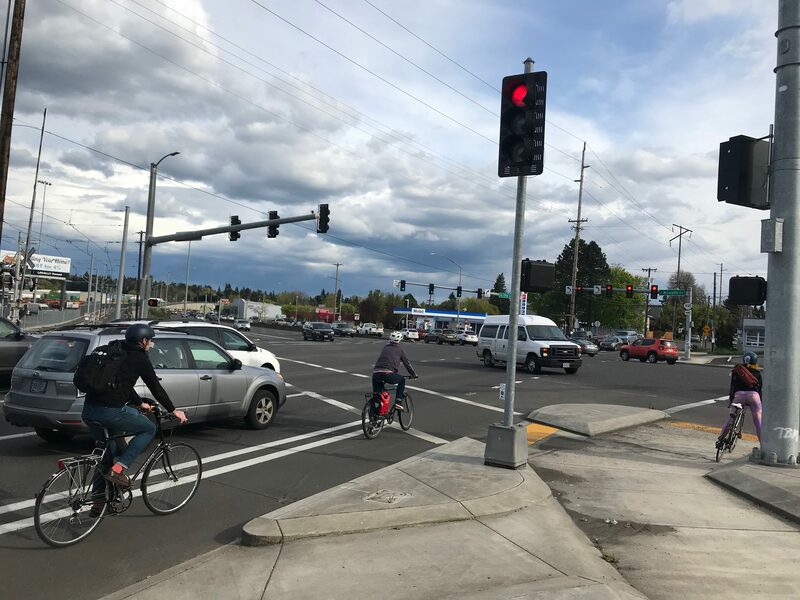 But we haven’t been talking much about another important aspect of Portland’s grant: millions of dollars for connecting vehicles to improve safety. As city leaders prepare for a personal pitch on Wednesday to U.S. Transportation Secretary Anthony Foxx, the Portland Bureau of Transportation held a “Connected City Expo” Monday to show off many of the companies that could be bringing their knowhow to a Smart City award here in Portland. 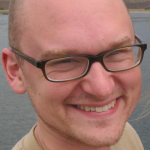 Detail from the event flyer. Today at the Oregon Museum of Science and Industry the City of Portland will give the public a glimpse of how they’re competing for a chance to win the $40 million Smart City Challenge grant from the U.S. Department of Transportation. Portland is one of seven finalist cities vying for the prize. Today’s event is a precursor to a visit later this week from DOT Secretary Anthony Foxx. Graphic from Portland’s grant application. “Ubiquitous mobility” is one step closer to reality in Portland. Imagine opening up a mobile app to find (and pay for if necessary) the best trip option available for your specific needs. Whether it’s finding a Biketown bike, hopping on a TriMet bus, renting a bike through Spinlister, calling a Lyft driver, or whatever. The same app would also enable users to pay for parking spots and even the pay-per-mile gas tax that might someday be an option in Oregon. And that’s just the start. We took a deep dive into the city’s grant application last month. The city’s plan includes a “Marketplace” mobile app that would let you plan and buy trips by every mode. Portland is one of 77 cities around the country that have put in for a one-time federal ‘Smart City’ grant that’s looking to promote big ideas about urban mobility. An award is a long shot — only one city will get the $50 million prize — but the city’s application (which wraps together a wide variety of concepts for improving and integrating digital transportation data) is an education in itself, offering various details about the city’s vision that we haven’t seen publicly until now.